’re a champion, you get special treament. So, when the Packers won Super Bowl XXXI over the Patriots 35-21, they not only got their third cover appearance in a row (see yesterday’s posting), they got a whole “Special Commemorative Edition” devoted solely to them. This special publication was in addition to the weekly Sports Illustrated issue. 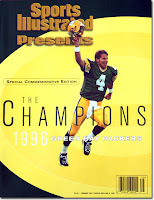 Among the many special features it has are: an article summarizing the history of the Packers, a Reggie White story, a Brett Favre milk ad (Favre complete with a “milk mustache”), a review of the 1996 season, spotlights on various players, a Keith Jackson article, summaries of both NFC playoff games, a Mike Holmgren feature, a story on Lambeau Field, a summary of Super Bowl XXXI, a Brett Favre story, and several ads promoting Packers’ Super Bowl champion merchandise. 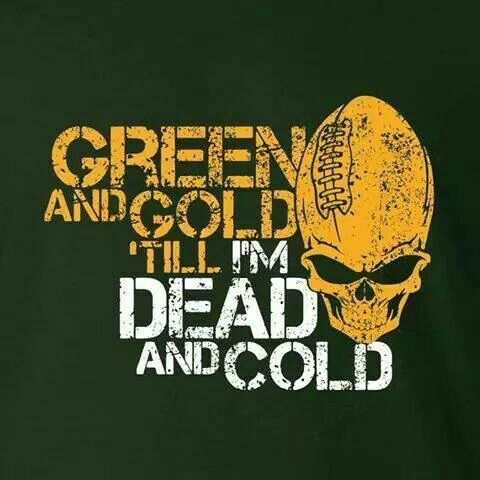 “In the beginning, God created the heaven and the earth and the Green Bay Packers. At least that’s what the true believers think, given their team’s storied past. But the genesis of the franchise that begat Lombardi, Lofton, and the Leap was not quite that divine. 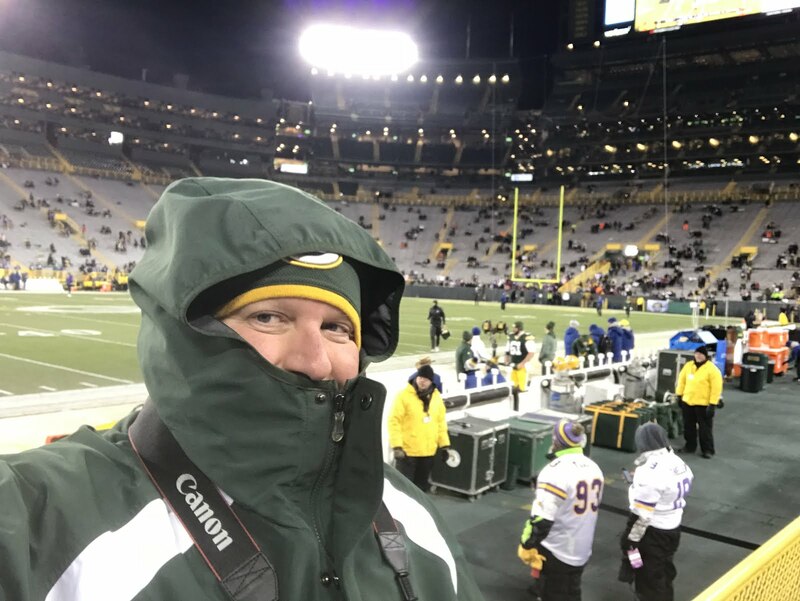 Truth is, the Packers — the only pro football team that plays in the same city it did 75 years ago, the team that has sent 20 players to the Hall of Fame and won more championships (12) than any other — came into being because a guy named Curly had an awful case of tonsillitis.” (Lambeau was home on Christmas break from Notre Dame, got sick, and decided to stay rather than go back to school. 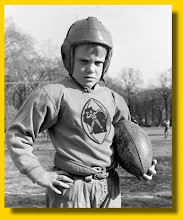 He then, with others, founded the Packers the next year in 1919). We wouldn‘t want it any other way.